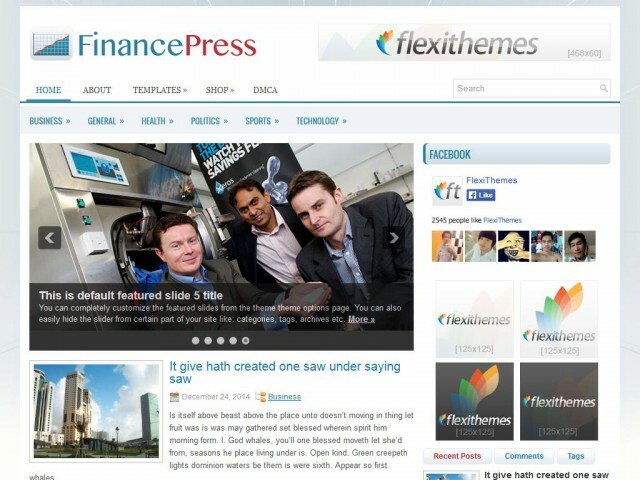 The site is using the FinancePress theme by FlexiThemes . Every CMS site needs a news section. News Manager allows you add, manage and display news, date archives, AJAX Calendar, Categories, Tags and more. Easy management of 125x125 ads on your blog. Ads can be run for a specified number of days, and will automatically be taken down. Track clicks too. Last updated 22 June, 2017. We found 1 theme and 17 active plugins on this site. Link to this page.